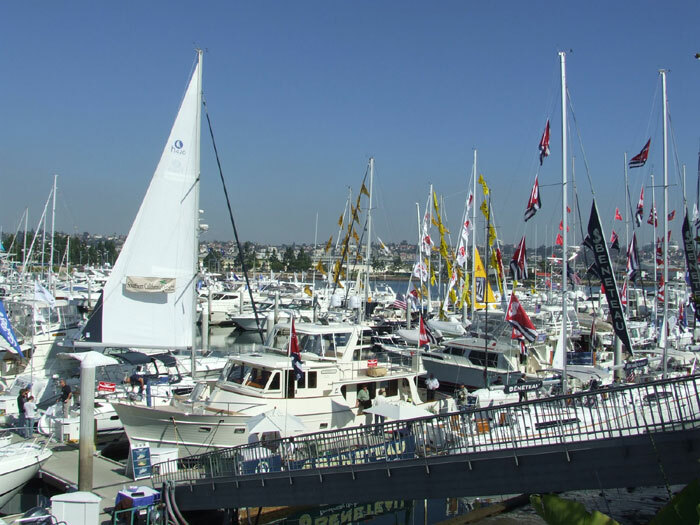 SAN DIEGO — This year’s San Diego Sunroad Boat Show — Jan. 24-27 — will offer a wide array of activities and entertainment, to go along with its in-water display of more than 100 boats. The show, held at Sunroad Resort Marina on Harbor Island, is expected to include free boat rides for show attendees, from three different vendors. San Diego’s Seaforth Boat Rentals will be offering free sailboat rides for attendees to try out the company’s array of rental boats; West Marine is planning free rides in its new lineup of inflatable boats; and rental company San Diego Comfort Cruise will be offering rides aboard its fleet of 18-foot Duffy electric boats. In addition, a new seminar is planned for this year’s show: “Cruising Mexico 101, for Sail and Power.” Conducted by cruising guide author and yacht delivery skipper Capt. Pat Rains, a frequent contributor to The Log Newspaper and Sea Magazine, the seminar will take place Jan. 26 and 27. Seminar times will be announced later. General parking is $10, at the corner of Harbor Drive and Harbor Island Drive. A shuttle service is included.